Here we have a very pretty gold and steel vintage ladies Rolex 6917 date watch. 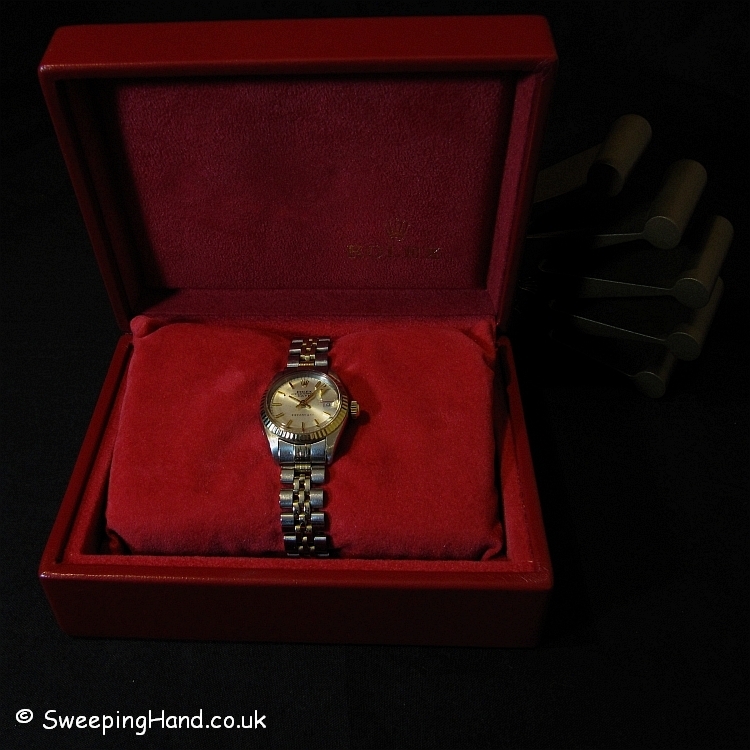 What makes this a little bit special however is that it comes with it’s original and extremely rare ‘Tiffany & Co’ dial. Solid gold 18k fluted bezel and crown sit above a very clean silver Tiffany dial with gold baton markers and hands. 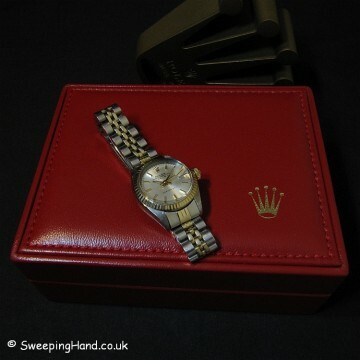 The watch comes on a gold and stainless steel Rolex jubilee bracelet and in a red leather presentation box. 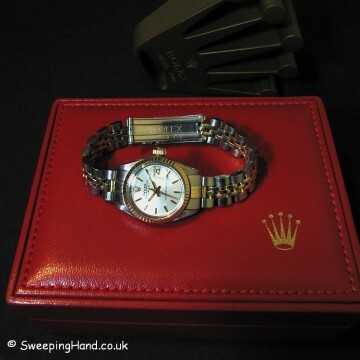 The case is in very good condition and not over polished and has a brand new Rolex crystal. 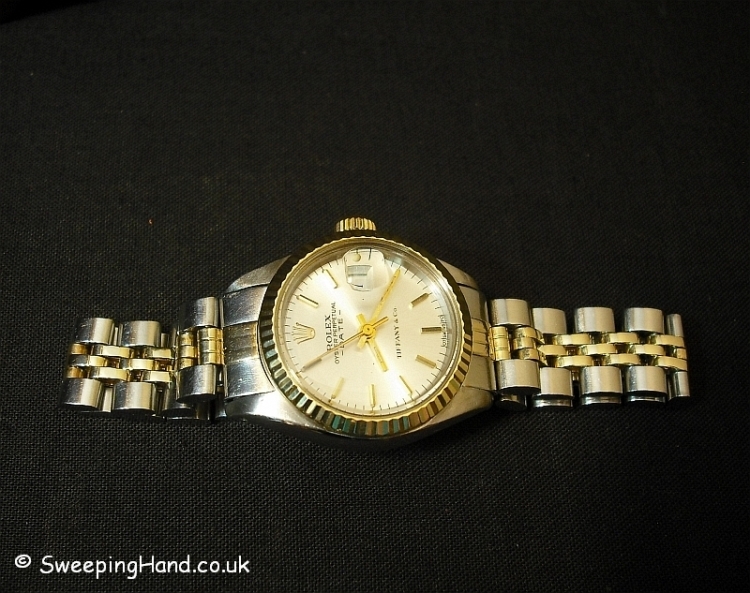 The 4.0m serial dates the watch to 1973/1974. No Rolex paperwork but guaranteed 100% genuine Rolex and keeping good time. 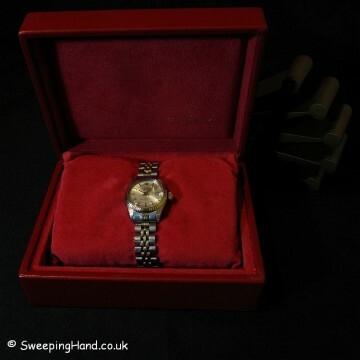 Dial & Hands: Very clean silver rare Tiffany & Co dial with gold baton markers and matching gold hands. Case & Caseback: Steel Rolex case with caseback correctly stamped with model number. Serial numbers clearly visible between the lugs. 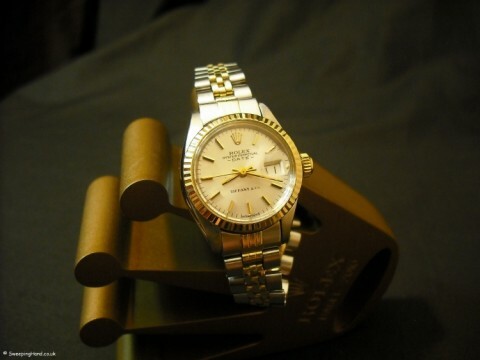 18k gold fluted bezel. Brand new Rolex crystal. Bracelet: Comes on bi-metal gold and steel jubilee bracelet. 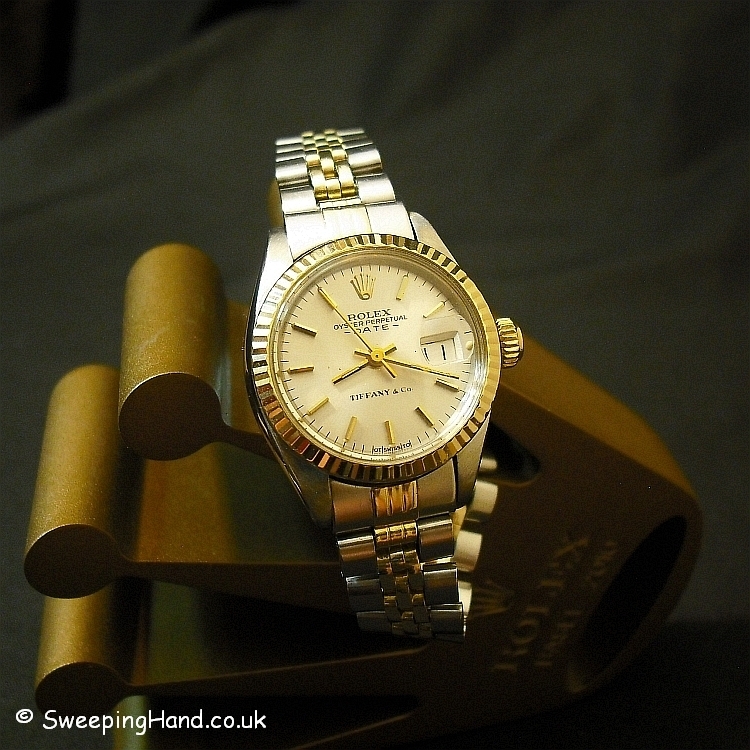 Movement: Automatic movement keeping good time.